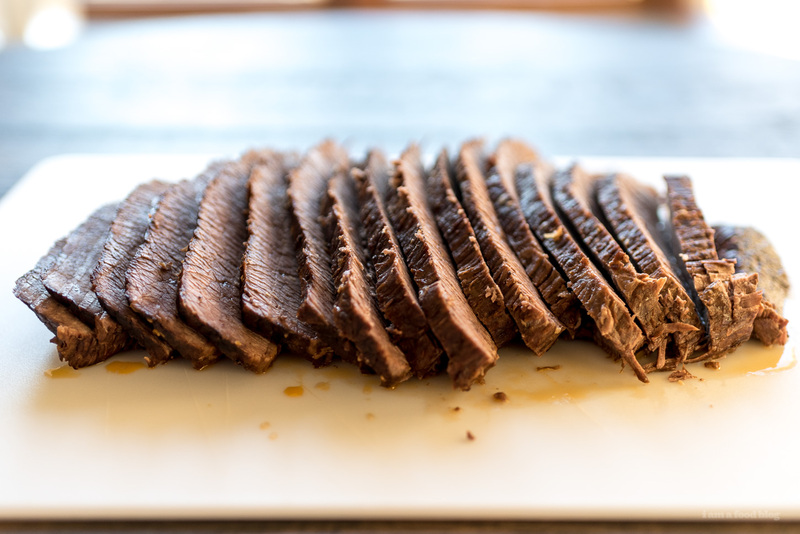 Looking for a warm and cozy braised beef brisket? Don't look anymore! 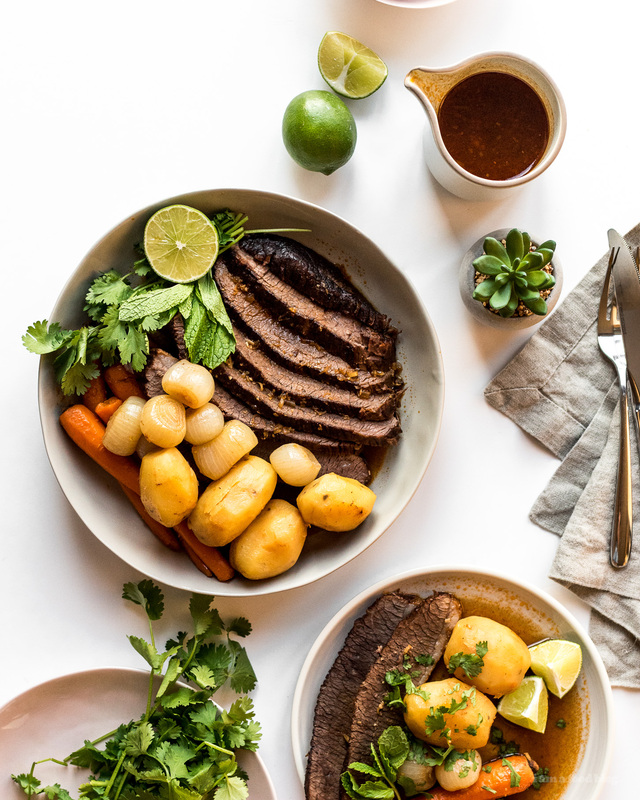 This brisket, with a Vietnamese twist is amazing: complex yet comforting flavors, perfect for an easy weekend dinner party. Bonus: your house will smell incredible! It’s been raining for the past couple of days and while I’m sad that we aren’t getting as much walking in, I’ve been super happy with the weather enforced cozy vibes. Mike and I have been on a soup and stew craze: our fridge is FULL to the brim of various stocks, soups, and stews, in various stages of doneness and assembly. We love experimenting while cooking – Mike a little more so than me – and not to toot our own horn, but we have been making so many amazing things. The only problem is, we’ve amassed a huge amount of leftovers. Anyone want to come over and help eat? 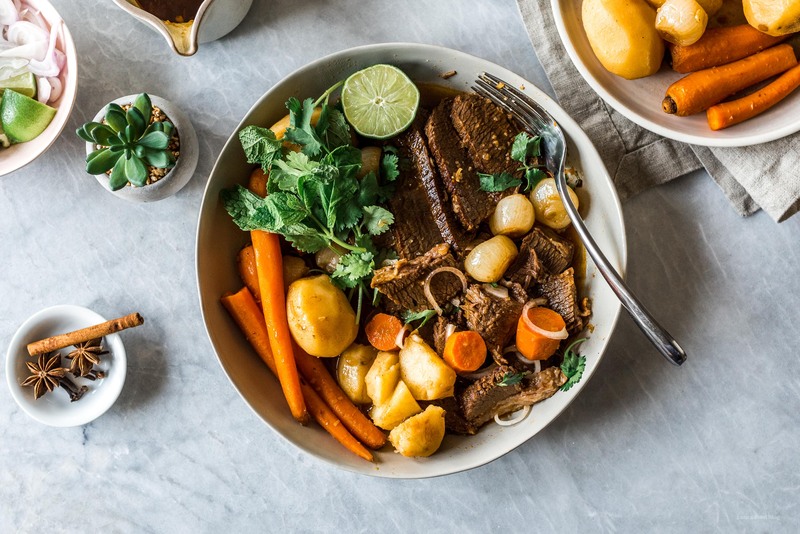 One of the recent winners was a brisket-y take on bo kho. Have you guys had bo kho? 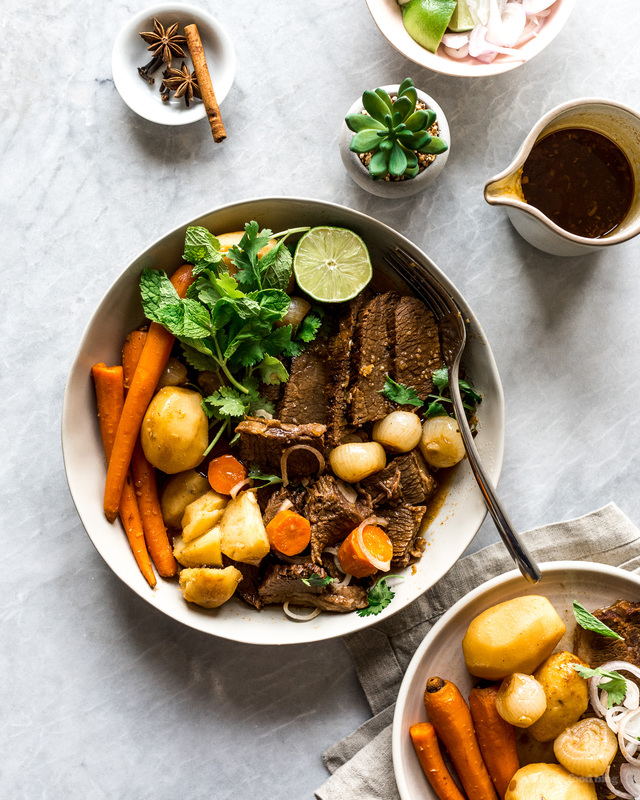 In Vietnamese, bo means beef and kho means to stew (or braise/simmer)so it’s essentially beef stew. It’s a super warm and comforting stew filled with delicious aromatics, beef, and vegetables. They have an incredible version at Little Sister and ever since eating it there, I’ve been dreaming about making a version of it at home. To be honest this didn’t turn out anything like the Little Sister version. It didn’t turn out like the traditional version either, but it is delicious and perfect for making if you’re planning on having people over. Brisket is the ultimate dinner party food. 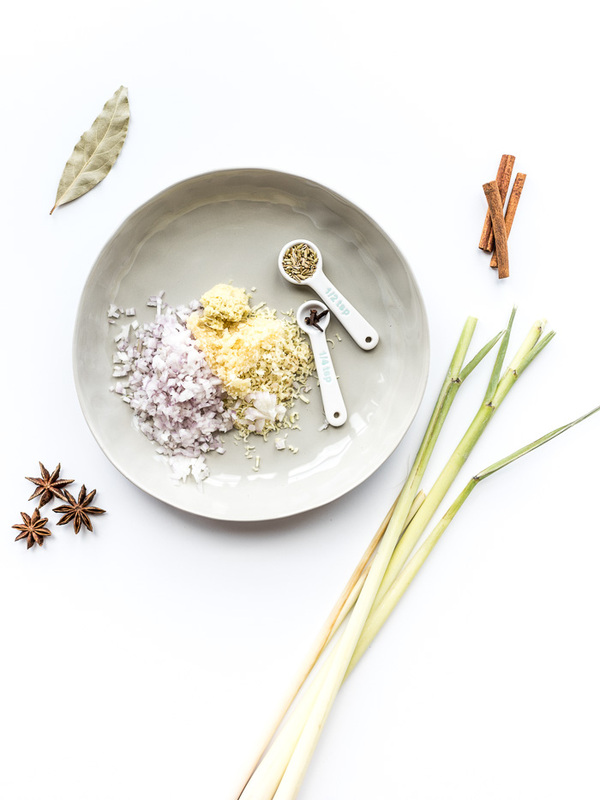 Just do a few minutes of prep before hand, sit back, and relax while your house fills up with amazing smells. By the time it’s ready to pull from the oven, your guests will be begging you to eat. This particular recipe needs a touch more time than using onion soup mix and ketchup, but the result is so worth it. 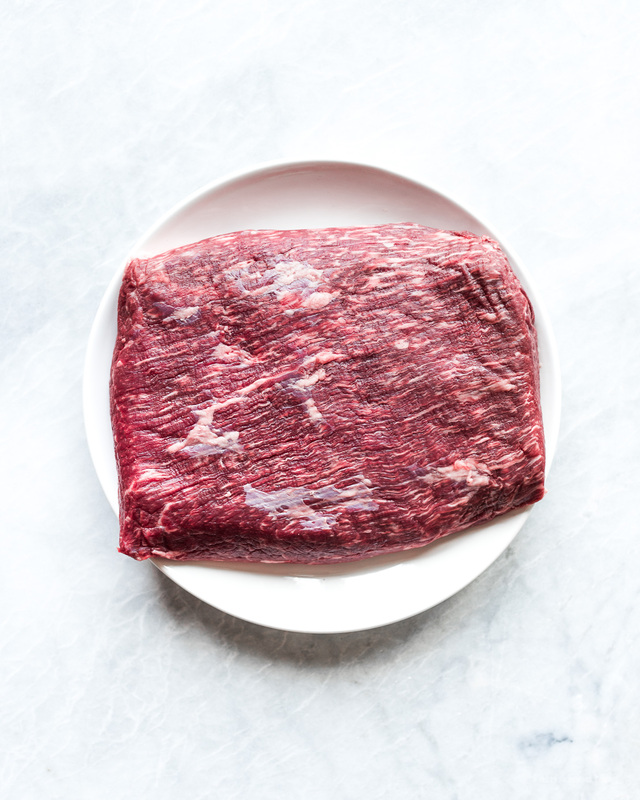 Even better if you use wagyu brisket – a Japanese breed of cattle that has intense marbling and flavor. We got ours from Lone Mountain Wagyu and it was tender, juicy and full of beefy flavor. 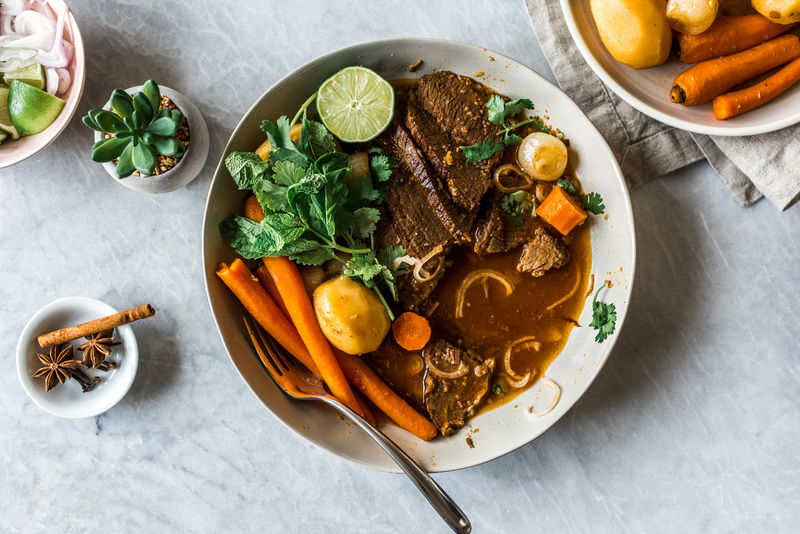 From there, it was just a question of incorporating those classic bo kho flavors: lemongrass, garlic, ginger, shallots, star anise, fennel, cloves, cinnamon, and bay leaves. Every family has a different way of making bo kho and Mike’s family is no different. These days, if I ask Mike’s mom how to make something, she’ll tell me to go to the market to buy a little spice pack, in this case, it would be conveniently labeled “bo kho.” But, back in the day, Mike said his mom made bo kho the same way she makes everything else: a little bit of lemongrass, shallots, sugar, fish sauce, tomatoes, a bay leaf or two. That’s kind of sort of like this recipe! Preheat the oven to 350°F. Season both sides of the brisket with salt and freshly ground pepper. In a large dutch oven, heat up a bit of oil over medium high heat until hot and shimmery. Sear the brisket on both sides, until deeply browned. Remove from the pan and set aside. Add the ginger, shallot, lemongrass, and garlic. Cook, stirring until soft, 1-2 minutes. Stir in the tomato paste and beef stock. Wrap up the star anise, fennel seeds, cloves, bay leaf, and cinnamon in cheese cloth or place in a large tea bag for easy removal later. Add the spice satchet to the stock, as well as the brisket, stalks of lemongrass, and piece of ginger. Bring to a gentle boil then cover and place in the oven for 2 hours. When 2 hours is up, add the carrots, new potatoes, and pearl onions to the pot. Place back in the stove for another 1 hour or until vegetables and brisket are fork tender. When done, remove from the oven and take out the spices, lemongrass stalks, and ginger. Season with sugar and fish sauce. 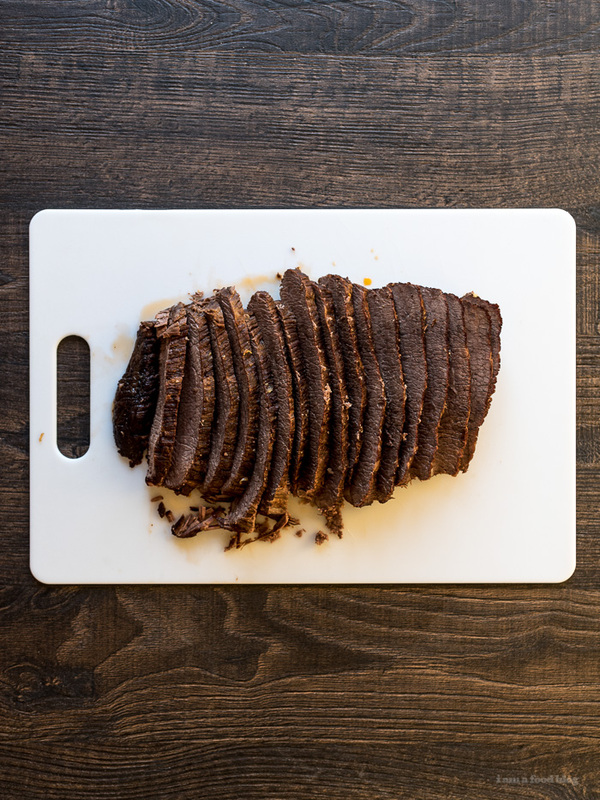 Remove the brisket and slice, against the grain. Enjoy with cilantro, green onions, jalapenos, lime, and rice, if desired. Note: You may want to thicken up your sauce if you’re into brisket with a thicker gravy. If so, after you remove the brisket, make a quick roux: melt 3 tablespoons of butter over medium heat. Stir in 3 tablespoons of flour and cook, whisking, until brown and rich. Whisk into the cooking liquid and simmer, on medium low, until the sauce thickens. 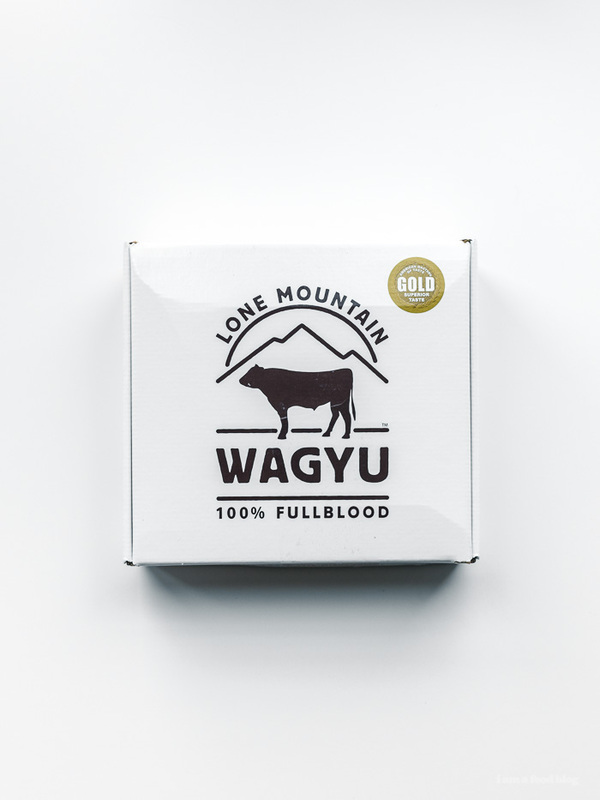 I partnered with Lone Mountain Wagyu to create this post. Get 20% for the month of October with code IAM20. Enjoy! Looks good. 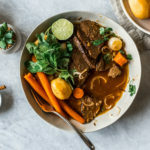 Funny how Woks of Life just posted a Bo Kho recipe too. Now which recipe to try first. it’s just bo kho season! Definitely getting saved in my to-do list. I’m a huge fan of Vietnamese food and have also been on a braising kick lately due to acquiring a nice new enameled dutch oven. The second the weather gets cool again here (in West Texas, so we’re still dealing with some 90+ days) this is getting made. braising when it’s cold out is the best! UM, MEEEEEEE???? I’m down for some stew, ‘specially this gorgeous one! PS that square pic of the Wagyu Beef box, I thought it was like a little matchbox of meat, hehe. heehee it is like a matchbox of meat, except think giant box! also, i’ll make this for you anytime! oooh this sounds so cozy! (plus that wagyu marbling looks sososo good). i’m pretty boring at vietnamese restaurants, but i’m not even sure i’ve seen bo kho before! will have to hunt down a bowl (and then make it at home hehe). This sounds sooooo good! Perfect for a chilly fall dinner. I know my carnivorous bf would ADORE this, so I may have to surprise him, splurge a bit on some good meat, and make it one night ;-) If I can’t find the wagyu brisket, should I just use regular beef brisket instead? This looks amazing! If I wanted to make a smaller brisket, say 1.5 to 2 pounds, would the cooking time remain the same or would it be shorter with the smaller piece of meat? you’re slow cooking it so you don’t really need to change the cooking time, but you can shorten the time if you want to, just check to see if it’s fork tender after an hour and a half. Made this – it was so good! Help, please. 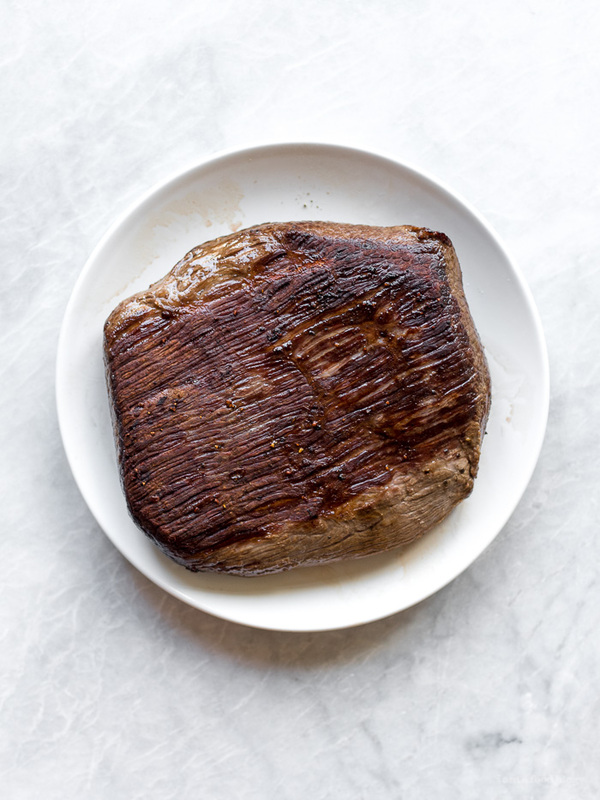 Could the same method work with braising a whole untrimmed prime brisket from Costco in a covered aluminum roasting pan? i haven’t tried but i’m thinking maybe as long as the liquid is covering the brisket. it might be best to use your largest pot though, instead of an aluminum roasting pan. let me know how it goes!